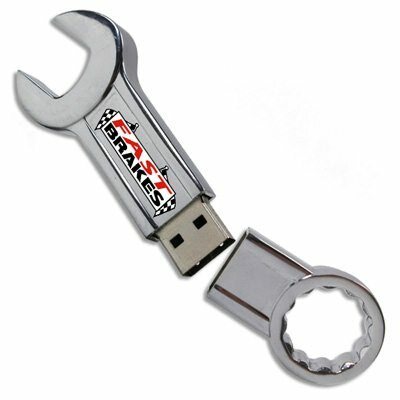 Tighten up your promotional campaign with the Wrench shaped USB drive. 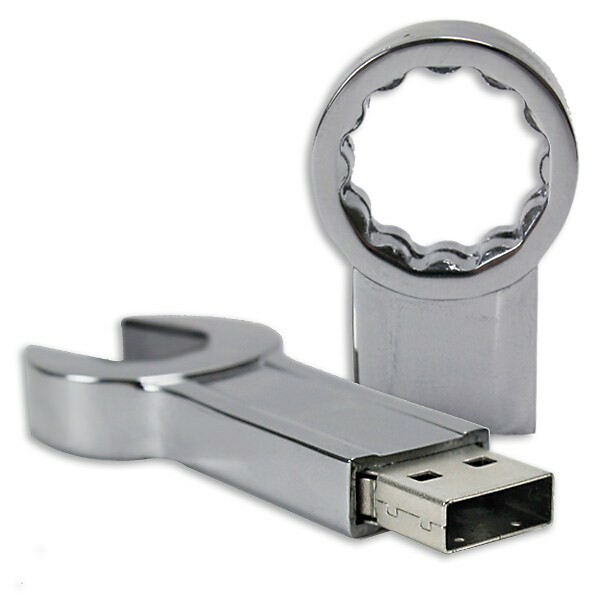 With a polished chrome finish, this promotional USB flash drive opens to reveal the connector port inside. With our great printing or engraving options, you'll get a true customizable experience with this branded memory stick. 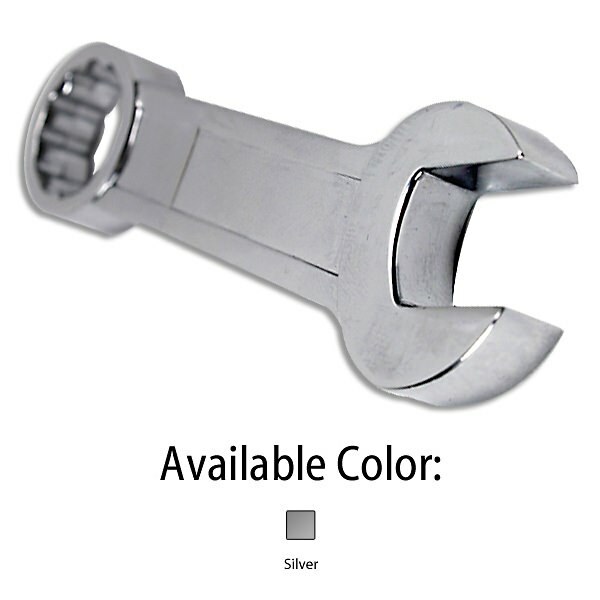 It’s a great way to expand brand recognition for mechanics and hardware stores/companies! 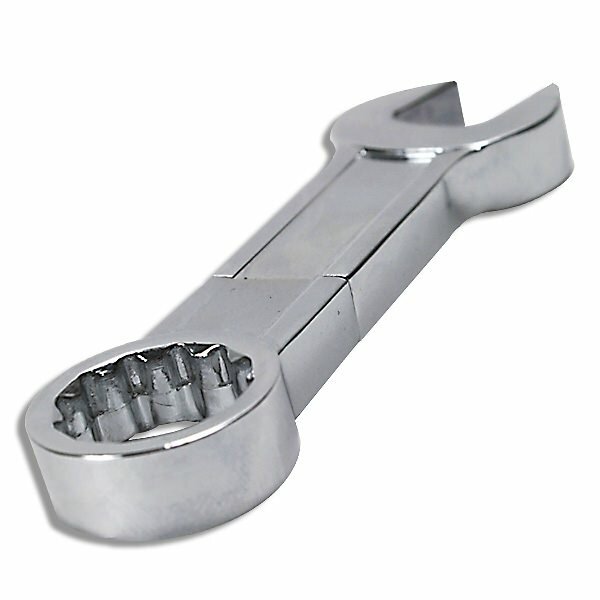 That old saying, “to throw a wrench in the plan” no longer applies. This marketing product works well to offer advertising space and high value data storage to potential customers. 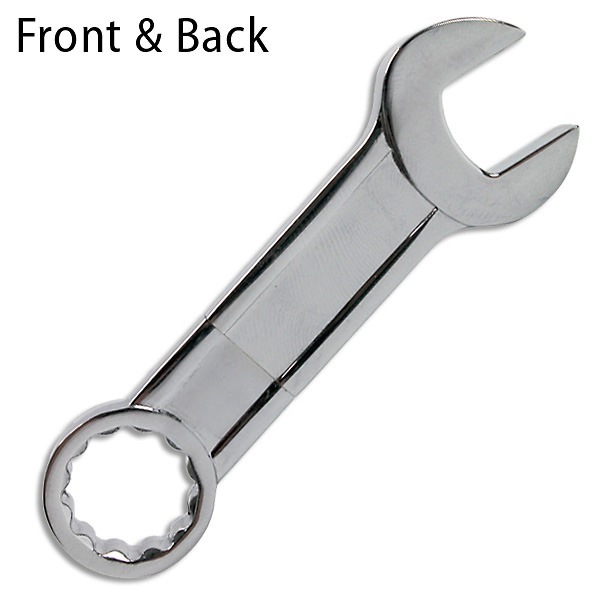 Made of durable steel, the Wrench is built to last which means long lasting data storage. 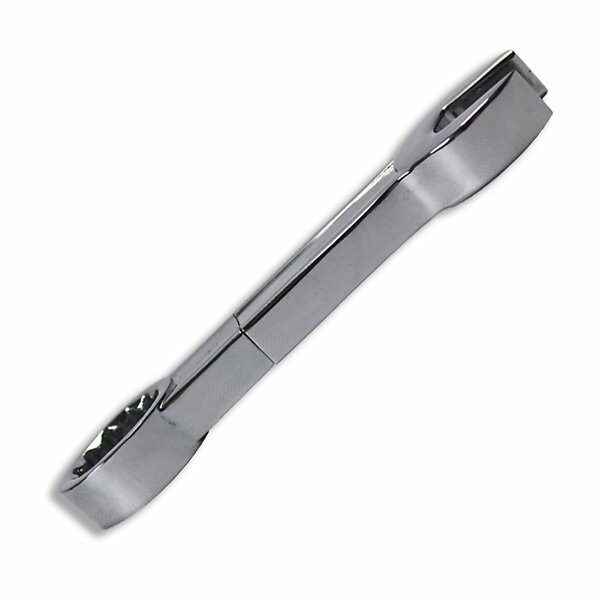 Either silkscreen print or laser engrave this drive front and back to make your logo or brand pop. Fix your brand’s image problems by giving potential customers something they’ll want to keep handy and in eyesight.